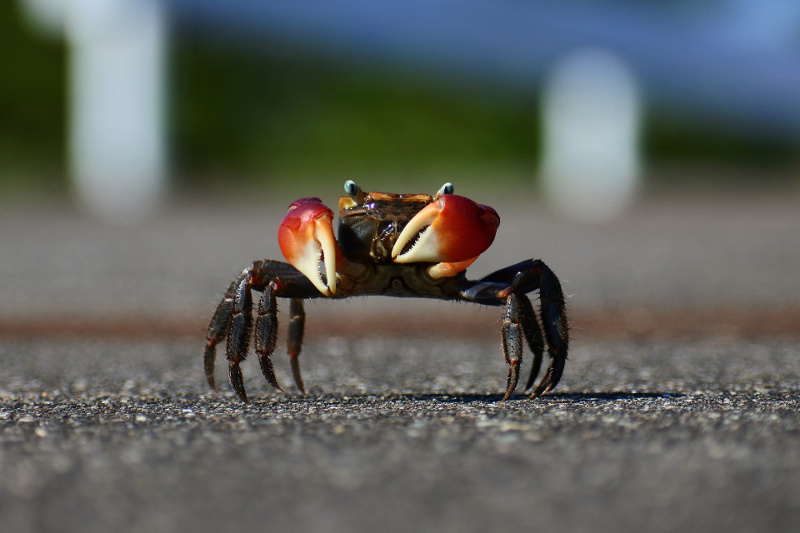 This blog post by Laura McBride at Make the Ocean Great Again celebrates the success of a new citizen science initiative in Brazil, to protect the mangrove crab. Often in the pursuit of conserving a species comes the clash between those trying to protect it and those who survive from it. However, a new smartphone app, the brain child of Dr Karen Diele (Edinburgh Napier University/St Abbs Marine Station) and her colleague Dr Anders Schmidt (Federal University of Southern Brazil) hopes to form a relationship between conservationists, policy makers and local fishermen in Brazil. The mangrove crab (Ucides cordatus) is a national delicacy and a key fisheries resource in Brazil. 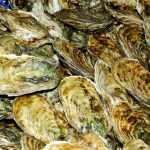 They are integral in supporting the livelihoods of artisanal fishers in coastal rural areas. These crabs also provide an important ecological service by burying and consuming mangrove leaf litter, keeping the nutrient and energy cycle within the forest. Mangrove crabs live in mud burrows up to 2m deep and are harvested by “caranguejeiros” or “crab harvesters” who capture them with their hands, hooked sticks or with traps. Crab harvesters are normally socio-economically marginalised, typically or functionally illiterate and live in simple housing with limited infrastructure. As crab hunting requires little resource it is an accessible means of generating income for those with no educational background. In recent years, the mangrove crab population has suffered from habitat degradation and increased fishing pressure. As a result, laws have been implemented to protect this species from over harvesting but at a cost to the fishermen. Throughout mating periods, full moon and new moon, the capture of crabs is prohibited. This is to protect the species at its most vulnerable during their out of burrow synchronised mass mating. However, the mangrove crab mostly mate at either one of the two moons and predicting which one has proven to be difficult. The fishing ban has resulted in one of the two precautionary bans each month usually being wrong. Fishers are then not allowed to catch the crabs even if they don’t mate, meaning they lose income. This has led to conflict and illegal capture of crabs, which has resulted in overexploitation of populations and increased costings to police fishing areas. In comes the smartphone app, REMAR_CITIZEN, developed by the School of Computing at Edinburgh Napier. It uses research from REMAR – Reproductive Monitoring of Mangrove Crab Research Project along with eight other universities and study sites along the Brazilian coast. They found that the mangrove crab choose days where large tides are due when the sun and moon are in a straight line to mate. The other cycle occurs when the moon is closest to the earth. When this happens at new moon then the tides are bigger than those at full moon. Fishers and the general public can use the app to record where and when they see crabs mating which further adds to the database. Dr Karen Diele and her team can then analyse the data and allow for more accurate predictions. The more people who use the app, the more data can be provided. If the accuracy of mating predictions is robust it will improve policy to ensure the secure income of coastal fisheries, reduce policing costs and safeguard a future for the mangrove crab. However, there is still some work to go. There are only 9 data sites across the 700,000km long Brazilian coastline and the research group will be working with those who have limited/no prior smartphone experience. Nevertheless, it is ideas like this that show hope in closing the barrier between human and wildlife conflict. In times of uncertain species extinction it is important to find a compromise that allows people to carry out their livelihood without losing such an iconic animal. The app has been available from Google Play Store in Brazil since November 2017. This blog was originally posted as The power of citizen science to protect the mangrove crab in Brazil at Make the Ocean Great Again on 11/04/18.